Didn’t I already give SurveySay a review? I could have sworn this program looks familiar. That’s right. It’s just BigSpot with an even worse logo. I wasn’t a fan of BigSpot back when I first reviewed it in 2011 and it doesn’t look like much has changed since then. SurveySay isn’t hiring, despite the jobs ads. Odds are, you saw a job posting on Snagajob (another site I recommend you steer clear of) advertising either a part-time, or full-time, ‘Online Survey Taker’ job opening. There isn’t much more to the job posting than that. However, the ad is currently airing in pretty much every town across America. While I write this article, there are currently 2,489 active job postings on Snagajob alone. These guys are busy to say the least. Well, yes and no, but mostly no. Yes, in the sense that they aren’t actually hiring online survey takers. Instead they are merely collecting your personal information and then showing you a list of survey companies that are currently accepting members. As you can see, they are simply listing affiliate opportunities and nothing more. There is no “job” here. SurveySay and whoever is behind the mysterious VarsityPlaza, LLC gets a few bucks from each of those companies if you were to fill out an application. The “no” in the not a scam, is that these companies are free to join. Plus, they are reputable survey companies. The real problem I have with SurveySay is that you need to hand over some of your personal information just to view a list of companies. SurveySay was created by VarsityPlaza, LLC and they operate BigSpot as well. While reassuring, they are still requesting your personal information when they have no need for it. 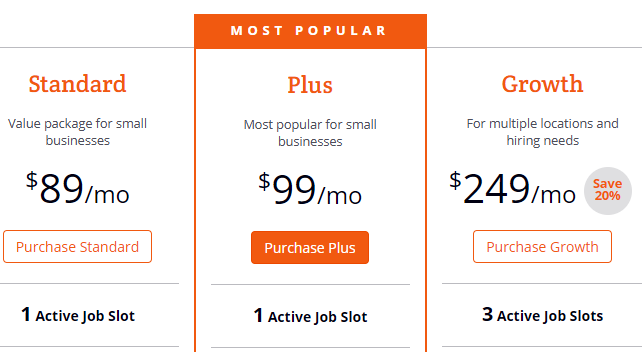 I found it interesting that SurveySay has over 2,000 active job postings on Snagajob when Snagajob only allows employers to post a max of 3 job postings for $249/month. At those prices, SurveySay would be paying Snagajob over $200,000 per month to keep their listings up. We both know that’s not happening. I couldn’t find any links to the two programs being related, but Snagajob appears to be allowing them to advertise through some sort of partnership. Snagajob is filled with other affiliate programs masquerading as jobs. For instance, there are nearly twice as many Uber job postings. Uber is free to join and you do not have to apply through a job board to work there. However, if you refer a new driver to Uber, you can get paid up to $2,250. While not particularly noteworthy, it does raise some questions about the validity of their offerings. Can you get rich taking surveys? Online surveys have been plagued with the falsehoods that you can make a full-time income just answering questions in your spare time. In reality, you will spend weeks, or even months, answering questions to even see if you qualify to take a survey. In the off chance that you are invited to fill out an actually survey, you will usually be compensated anywhere from $1 to $10 for 15-20 minutes of your time. I like finding a random five dollar bill as much as the next guy, but I’m not going to spend a month of my time searching for one. Treat surveys as found money. Don’t go seeking it out, but if you get an invite to participate in one, and don’t have anything better to do, by all means, fill it out. But, for the love of God, do not ever pay money to take a survey and do not trust anyone telling you that you are going to get rich overnight filling out surveys. If you still want to take surveys, I do have an approved list of survey companies I recommend. Better yet, I won’t charge you an email address just to gain access. Why trust me over SurveySay or BigSpot? Because these are programs that I have used for years, cashed out hundreds of dollars from each, and can verify they are legit. Swagbucks – Surveys are just one part of the Swagbucks experience. You can watch videos, play games, participate in polls, and they all pull in cash. If there’s only one program you join today, pick this one as I’ve personally cashed out over $900 just by using them in my spare time. SurveySavvy – Here’s your more traditional survey site. They send out surveys regularly and invite you to take part in longer studies as well. I’ve had a few $50+ survey invites. PaidViewpoint – PaidViewpoint is all about market research. They connect you with surveys that you absolutely qualify for and do not kick you out just before the final question. It’s fun, easy, and well worth checking out. Those three should keep you busy enough. While SurveySay isn’t technically a scam, it’s still a colossal waste of time. They are unnecessarily collecting your email and personal information to showcase a list of companies for which they make money if you sign up and join. I still don’t like that they are advertising on job boards seeking work at home applicants to become online survey takers. It’s misleading to say the least. Online surveys are just about my least favorite ways to make money online. There are just a million better ways to spend your time, especially if you are looking to start pulling in some real money. You can also check out my top recommendation here if you are interested in learning how to make serious money online. Thanks for the information packed review on SurveySay. Really helpful and thanks a lot. People are afraid of many scams online. By providing people with an honest review bloggers can help people to save their hard earned money and save their time and effort. Keep up the great work. I will come back to your website to learn more information. Here is another scam, this lady says she can make you rich but its all fake with bought fake follwers. I enquired about this and she told me to pay 100 dollars and then she will tell me how to make a lot of money. You have to post lies daily to try to protray your rich!! She said you will be a business owner but only have to do 10 percentof the work that they do 90 percent of the work for you. They also get you to watch videos that are suppose to explain what your going to be doing… Well all it is is people bragging how rich they are… Stay far away from this digital marketing scam!! Save your money!